Alger Hiss (November 11, 1904 – November 15, 1996) was a U.S. lawyer, civil servant, administrator, businessman, author, and lecturer. In 1948, Whittaker Chambers, a government informant and former Communist Party member, testified to the House Un-American Activities Committee (HUAC) that Hiss had secretly been a Communist while in federal service. Called before HUAC, Hiss categorically denied the charge. When Chambers repeated his claim in a radio interview, Hiss filed a defamation lawsuit against him. During the pretrial discovery process, Chambers produced new evidence indicating that he and Hiss had been involved in espionage, which each had denied under oath to HUAC. A federal grand jury indicted Hiss on two counts of perjury; Chambers admitted to the same offense, but as a cooperating government witness he was never charged. Although Hiss's indictment stemmed from the alleged espionage, he could not be tried for that crime because the statute of limitations had expired. After a mistrial due to a hung jury, Hiss was tried a second time. In January 1950, he was found guilty on both counts of perjury and received two concurrent five-year sentences, of which he eventually served 44 months. Arguments about the case and the validity of the verdict took center stage in broader debates about the Cold War, McCarthyism, and the extent of Soviet espionage in the United States. Although a variety of evidence has been added to the debate since his conviction, the question of Hiss's guilt or innocence remains controversial. Some reliable sources have suggested that those who believe in Hiss's innocence are in the minority of scholarly opinion. See, for example: "Yet the weight of historical evidence indicates that Hiss was… a member of the communist underground and a Soviet spy. "> "Hiss' defenders have dwindled to a small handful of true believers…." "…the trend of scholarship on the Hiss case in the 1990s—a growing consensus that Hiss, indeed, had most likely been a Soviet agent." "In the end, the publication of the Venona intercepts… settled the matter—to all but the truest of believers" "Most historians have conceded the argument to Weinstein…" "Hiss’ defenders stubbornly tried to rebut each revelation, but eventually they were overwhelmed…." Victor Navasky is "now virtually alone in his rejection of the case against Hiss." Alger Hiss was born in Baltimore, Maryland, to Mary Lavinia Hughes and Charles Alger Hiss. His early life was repeatedly marred by tragedy. His father committed suicide when Alger was 2 years old, his older brother Bosley died of Bright's disease when Alger was 22, and he lost his sister Mary Ann to suicide when he was 25. His father had been a middle class wholesale grocer, and after his death Mary Hiss relied largely on family members for financial support in raising her five children. The Hiss family lived in a Baltimore neighborhood that was described as one of "shabby gentility." Hiss was educated at Baltimore City College high school and Johns Hopkins University, where he graduated Phi Beta Kappa and was voted "most popular student" by his classmates. In 1929, he received his law degree from Harvard Law School, where he was a protégé of Felix Frankfurter, the future U.S. Supreme Court justice. Before joining a Boston law firm, he served for a year as clerk to Supreme Court Justice Oliver Wendell Holmes Jr. That same year, Hiss married Priscilla Fansler Hobson (1903–1987), a Bryn Mawr graduate who would later work as a grade school English teacher. Priscilla, previously married to Thayer Hobson, had a three-month-old son, Timothy. In 1933, Hiss entered government service, working in several areas as an attorney in President Franklin Delano Roosevelt's New Deal, starting with the Agricultural Adjustment Administration (AAA). Hiss worked for the Nye Committee, which investigated and documented wartime profiteering by military contractors during World War I, and served briefly in the Justice Department. Both Alger Hiss and his younger brother Donald Hiss began working in the United States Department of State in 1936. Alger served as assistant to Francis B. Sayre, a son-in-law of Woodrow Wilson, and later became special assistant to the Director of the Office of Far Eastern Affairs and in 1944 became a special assistant to the Director of the Office of Special Political Affairs (OSPA), a policy-making office that concentrated on postwar planning for international organization. He later became the director of OSPA, and, as such, he was executive secretary at the Dumbarton Oaks Conference, which finalized plans for the organization that would become the United Nations. In 1945, Hiss was a member of the U.S. delegation to the wartime Yalta Conference, where the 'Big Three' (Franklin D. Roosevelt, Joseph Stalin, and Winston Churchill) met to coordinate strategy to defeat Hitler, draw the map of postwar Europe and continue with plans to set up the United Nations. Hiss's role at Yalta was limited to work on the United Nations. Hiss led the opposition to Stalin's proposal for 16 Soviet votes in the UN General Assembly. In the final compromise, the Big Three decided to give Stalin three votes in the General Assembly: Russia, Ukraine, and Belarus (then known as Byelorussia, or White Russia). Hiss served as the secretary-general of the United Nations Conference on International Organization (the United Nations Charter Conference) in San Francisco in 1945. Hiss later became the full Director of the Office of Special Political Affairs. Hiss left government service in 1946 and became president of the Carnegie Endowment for International Peace, where he served until May 5, 1949. In an appearance on August 3, 1948 before the House Committee on Un-American Activities (HUAC), Whittaker Chambers, a senior editor at TIME magazine and a former Communist, accused Alger Hiss of having been a member of "an underground organization of the United States Communist Party." At this time Chambers described the purpose of the organization, which became known as the Ware Group, as promoting communist policies in U.S. government. He made no mention of espionage activity, and would later specifically deny that he or Hiss had engaged in espionage. Chambers would change his story several times, and he would be forced to testify at the two Hiss trials that he had committed perjury many times in earlier testimony. Chambers gave varying dates for the time when he broke with the Communist party; a point that was to prove important in his later accusations against Hiss. For nine years, between September 1, 1939 and November 17, 1948, Chambers said he had left the Party in 1937. The 1938 Party-leaving date only emerged on November 17, 1948, when Chambers produced copies of State Department documents that he said Hiss had given him; the documents were dated 1938. Prior to Chambers's testimony, the FBI had already come to suspect Hiss of Communist activities. The FBI had interviewed Chambers several times since 1942, and in 1945 further evidence corroborating Chambers's story was received from two sources. Elizabeth Bentley, an American spy for the Soviet Union, defected and told the FBI about a Soviet contact in the State Department whom she identified as "Eugene Hiss." The same year, a Russian code clerk named Igor Gouzenko defected to Canada and reported that an unnamed assistant to the U.S. Secretary of State was a Soviet agent. In both cases, the FBI decided that Alger Hiss was the most likely match. Alger Hiss voluntarily appeared before HUAC on August 5 to deny being a Communist. Some Committee members had misgivings at first about attacking Hiss, since he had recently served as a senior level official in the State Department. Congressman Richard Nixon, a member of HUAC, pressed the Committee to continue the investigation. Nixon had received information about Chambers's allegations and the suspicions around Hiss from Roman Catholic priest John Francis Cronin, an anti-communist author who had been given access to FBI files. Because Chambers's testimony was given in a congressional hearing, his statements were privileged against defamation suits. Hiss challenged him to repeat his charges in public without the benefit of such protection. After Chambers publicly reiterated his charge that Hiss was a Communist on the radio program Meet the Press, Hiss instituted a libel lawsuit against Chambers. Chambers responded by now claiming that Hiss had been a spy, and on November 17, 1948 he presented physical evidence to support his charge. This evidence consisted of sixty-five pages of retyped State Department documents, plus four pages in Hiss's own handwriting of copied State Department cables. Chambers stated that he had obtained these from Hiss in the 1930s; the typed papers having been retyped from originals by Priscilla Hiss on the family's Woodstock typewriter. These papers became known as the "Baltimore documents." The typeface characteristics of the Baltimore documents would become a key piece of evidence used to convict Hiss. Both Chambers and Hiss had denied any act of espionage in their testimony before the HUAC. By introducing the Baltimore documents, Chambers admitted that he committed perjury, and opened both Hiss and himself to perjury charges. On the evening of December 2, 1948, Chambers produced the so-called pumpkin papers, five rolls of 35 mm film, two of which contained State Department documents. Chambers had hidden the film in a hollowed-out pumpkin on his Maryland farm the previous day. In testimony before the McCarran Subcommittee of the US Senate in 1952, William C. Bullitt claimed that as Ambassador to France in 1939 he was advised by Premier Edouard Daladier of French intelligence reports that two State Department officials named Hiss were Soviet agents. Hiss was charged with two counts of perjury; the grand jury could not indict him for espionage since the statute of limitations had expired. Chambers was never charged with a crime. Hiss went to trial twice. The first trial started on May 31, 1949, and ended in a hung jury on July 7, 1949. Hiss's character witnesses at his first trial included such notables as future Democratic presidential candidate Adlai Stevenson, Supreme Court Justice Felix Frankfurter, and former Democratic presidential candidate John W. Davis. The second trial lasted from November 17, 1949, to January 21, 1950. At both trials, a key piece of prosecution testimony was that of expert witnesses who stated that identifying characteristics of the typed Baltimore documents matched samples known to have been typed on a typewriter owned by the Hisses at the time of his alleged espionage work with Chambers. Also presented as prosecution evidence was the typewriter itself, which the Hisses had given away years earlier; it had been located by defense investigators. In the second trial, Hede Massing, an American ex-Communist, provided some corroboration of Chambers's story when she recounted meeting Hiss at a social function in which they both spoke obliquely about their Communist activities. The second trial jury found Hiss guilty on both counts; on January 25, 1950, he was sentenced to five years imprisonment. The verdict was upheld by the United States Court of Appeals for the Second Circuit (case citation 185 F.2d 822) and the Supreme Court of the United States (340 U.S. 948). Hiss served 44 months at the Lewisburg Federal Prison before he was released November 27, 1954. While in prison, Hiss acted as a voluntary attorney, advisor, and tutor for many of his fellow inmates. After his release, Hiss, who had been disbarred, worked as a salesman for a stationery company. In 1957 his book In the Court of Public Opinion was published. It challenged the prosecution's case against him in detail, emphasizing the theory that the typewritten documents traced to his typewriter had been forged. He separated from his first wife, Priscilla, in 1959, though he did not remarry until after Priscilla's death in 1986. On July 31, 1975, as a result of a Freedom of Information Act suit by Hiss, the U.S. Justice Department released copies of the "pumpkin papers" that had been used to implicate him. One roll of film is totally blank due to overexposure, two others are faintly legible copies of nonclassified Navy Department documents relating to such subjects as life rafts and fire extinguishers, and the remaining two are photographs of State Department documents that had been introduced at the two Hiss trials. A few days after the pumpkin papers release, on August 5, 1975, Hiss was readmitted to the Massachusetts bar, reinstating his license to practice law. The state's Supreme Judicial Court overruled its Committee of Bar Overseers and stated in a unanimous decision that, despite his conviction, Hiss had demonstrated the "moral and intellectual fitness" required to be an attorney. Hiss was the first lawyer ever readmitted to the Massachusetts bar after a major criminal conviction. In February 1952, Nathaniel Weyl testified before the McCarran Committee that he had been a member of the Ware group in 1933 and that Alger Hiss was also a member at this time. His testimony corroborated that of Chambers, but Weyl had not testified at Hiss's trial, leaving Chambers as the only witness to testify at first hand that Hiss was a Communist or a spy. By 1952 Hiss had already been convicted, and thus Weyl's belated testimony was relevant only in the court of public opinion. In 1950, after Hiss's conviction, Weyl wrote a book on the history of treason in America. In the chapter of this book that Weyl devoted to the Hiss case, he expressed doubt about Hiss's guilt and made no reference to the personal knowledge about the case that would later be the basis of his testimony before the McCarran Committee. This apparent discrepancy and his failure to come forward as a witness in the Hiss trials have never been explained by Weyl. With regard to the Woodstock No. 230099 typewriter introduced as evidence by the defense at the trial, the FBI knew there was an inconsistency between its manufacture date and its serial number but illegally withheld this information from Hiss. At both trials, FBI typewriter experts testified that the Baltimore documents in Chambers' possession matched samples of typing done by Priscilla Hiss on the Hiss's home typewriter in the 1930s. The Woodstock typewriter that had been owned by the Hisses at this time was presented as evidence by the defense in the trials. The defense investigators had tracked down what they believed was the family's old typewriter on their own, hoping that examination of the actual machine would point up flaws in the FBI's matching of documents. This proved not to be the case, as tests with the typewriter only seemed to confirm the FBI's analysis. Since the trials, several apparent discrepancies have been alleged in the typewriter evidence presented by the prosecution. This includes expert testimony that the typewriter presented in evidence (as Exhibit #UUU) was not the same one that produced earlier typing samples from the Hiss household, expert testimony that Priscilla Hiss was not the typist of the Baltimore documents, testimony by former Woodstock executives that the serial number of the Exhibit #UUU typewriter was inconsistent with the year when the Hiss typewriter was originally purchased, and expert testimony that the exhibit #UUU typewriter had been tampered with in a way not consistent with professional repair work. These points and others have led some Hiss defenders to theorize that the Baltimore documents were forgeries, created by first remanufacturing a typewriter to match existing samples of typed papers from the Hiss household, then using this typewriter to type the Baltimore documents. According to this theory, the remanufactured typewriter was then planted where Hiss's defense investigators would find it, and it became trial exhibit #UUU. As noted above, such "forgery by typewriter" was entirely possible for trained technicians, though this was not generally known at the time of trials. Others have counter-argued that if the Baltimore documents were forgeries, it would be an unnecessary risk to arrange for the remanufactured typewriter to be found and introduced as evidence at the trials. The link between the Hiss's typewriter and the Baltimore documents was testified to on the basis of matching the documents to old typing samples, so the actual typewriter wasn't needed. Professor Irving Younger wrote, "To leave the counterfeit Woodstock lying about for the defense to pick up and examine would serve only to expose the whole scheme to the risk of discovery–and for no reason." In a 1976 memoir, former White House counsel John Dean alleged that President Nixon's chief counsel Charles Colson told him that Nixon had admitted in a conversation that HUAC had in fact fabricated a typewriter, saying, "We built one on the Hiss case." However, Colson subsequently denied the statement. After the dissolution of the Soviet Union in 1991, Alger Hiss petitioned General Dmitry Antonovich Volkogonov, who had become President Yeltsin's military advisor and the overseer of all the Soviet intelligence archives, to request the release of any Soviet files on the Hiss case. Interestingly, both former President Nixon and the director of his presidential library, John H. Taylor, wrote a similar letter, though the actual contents of those letters are not publicly available. Russian archivists and researchers responded by reviewing their files, and in late 1992 reported back that they had found no evidence that Alger Hiss had ever engaged in espionage for the Soviet Union or any evidence that Hiss was a member of the Communist Party. However, Volkogonov subsequently revealed that he had spent only two days on his search and had mainly relied on the word of KGB archivists. He stated, "What I saw gave me no basis to claim a full clarification. John Lowenthal [Hiss's lawyer] pushed me to say things of which I was not fully convinced." General-Lieutenant Vitaly Pavlov, who ran Soviet intelligence work in North America in the late 1930s and early 1940s for the NKVD, provided some corroboration of Volkogonov in his memoirs, stating that Hiss never worked for the USSR as one of his agents. In 2003, General Julius Kobyakov, a retired Russian intelligence official, revealed that he had been the person who actually searched the files for Volkogonov. According to Kobyakov, his research revealed that there was no indication that Alger Hiss had been either a paid or unpaid agent of the Soviet Union only "after careful study of KGB-NKVD archives and querying sister services" (military intelligence). In 2007, further testimonial of the absence of Hiss's name in Soviet archives was given by Russian researcher Svetlana A. Chervonnaya, who had been conducting research since the early 1990s. In 1992, records were found in Hungarian Interior Ministry archives in which Noel Field named Alger Hiss as a Communist spy. Field was an American who had spied for the Soviet Union, but had been arrested while traveling through Eastern Europe on charges that he was actually spying for American intelligence. Field was imprisoned in Hungary from 1949 to 1954, and was interrogated often during this time. In the transcripts of these interrogations, he referred to Hiss as a fellow Communist and spy four times, including relating the following: "Around the summer of 1935 Alger Hiss tried to induce me to do service for the Soviets. I was indiscreet enough to tell him he had come too late." Hede Massing told a similar story to US authorities after her 1947 defection. She said that when she attempted to recruit Noel Field for one Soviet spy network (the OGPU), Field replied that he already worked for another (the GRU). Massing also claimed during Hiss's second trial that whether Noel Field was to be an OGPU agent with her or a GRU agent with Hiss was the subject of a brief cocktail-party conversation with Hiss. Field was released by the Hungarian secret police in 1954 but remained in Hungary until his death in 1970. Upon his release, he wrote a letter to the Communist Party's Central Committee in Moscow complaining that he had been tortured in prison and that this had caused him to "confess more and more lies as truth." Hiss's defenders argue that Field's implication of Hiss may have been one of these lies and that Field was trying to show his veracity as a Communist by connecting his activities to the well-known Hiss. In 1957, Field wrote a letter to Hiss in which he expressed his belief in Hiss's innocence and spoke of personal knowledge of Hede Massing's "outrageous lie" when she testified at Hiss's second trial. In 1995, the existence of the Venona project was revealed. This project had resulted in the decryption or partial decryption of thousands of telegrams sent to the Soviet Union from its U.S. operatives in the years 1942 to 1945. FBI Special Agent Robert Lamphere identified the Soviet spy known by the codename "ALES" in one decoded cable as "probably Alger Hiss". In 1997, the bipartisan Moynihan Commission on Government Secrecy, chaired by Democratic Senator Daniel Patrick Moynihan, stated in its findings: "The complicity of Alger Hiss of the State Department seems settled. As does that of Harry Dexter White of the Treasury Department." 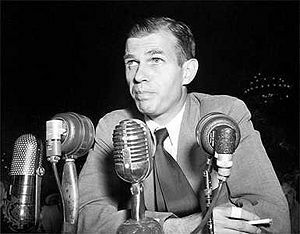 In his 1998 book Secrecy: The American Experience, Moynihan wrote, "Belief in the guilt or innocence of Alger Hiss became a defining issue in American intellectual life. Parts of the American government had conclusive evidence of his guilt, but they never told." In addition to Moynihan, the identification of Hiss as ALES has been accepted by many other authors, including John Earl Haynes and Harvey Klehr. National Security Agency analysts have also gone on record asserting that ALES could only have been Alger Hiss. In the second edition of his book Perjury, Allen Weinstein calls the Venona evidence "persuasive but not conclusive." The Venona transcript with the most relevance to the Hiss case is #1822, sent March 30, 1945, from the Soviets' Washington station chief to Moscow. This transcript indicates that ALES attended the Yalta conference and then went to Moscow. Hiss attended Yalta and then traveled to Moscow in his capacity as adviser to Secretary of State Edward Stettinius. ALES was said to be the leader of a small group of espionage agents; Hiss was accused of having acted alone, aside from his wife as a typist and Chambers as courier. ALES was a GRU (military intelligence) agent who obtained military intelligence, and only rarely provided State Department material; Alger Hiss in his trial was accused of obtaining only non-military information and the papers used against him were non-military State Department materials that he allegedly produced on a regular basis. Even if Hiss was the spy he was accused of being, it's unlikely he would have continued being so after 1938 as ALES did, because in that year Hiss would have become too great a risk for any Soviet agency to use. In that year, Whittaker Chambers broke with the Communist Party and then went into hiding, telling his Communist Party colleagues he would denounce them if they did not follow suit. At this point therefore, ALES's cover would be in extreme jeopardy if he were Alger Hiss. Other recent information places ALES in Mexico City at the same time when Hiss was known to be in Washington. Lowenthal also suggested an interpretation of the transcript that differs from Lamphere's reading. Lowenthal's reading does not put ALES at the Yalta conference at all, but rather refers to the presence at Yalta of Andrey Vyshinsky, the Soviet deputy foreign minister. According to Lowenthal, the entire point of paragraph 6 of Venona #1822—that the GRU asked Vyshinsky to get in touch with ALES to convey thanks from the GRU for a job well done—would have been unnecessary if ALES had actually been in Moscow, because the GRU could have easily contacted ALES with no need of Vyshinsky. Others, notably Eduard Mark, dispute Lowenthal's analysis on this point. In the opinion of intelligence historian John R. Schindler, the original Russian text of Venona #1822 (released in 2005), removes some of the ambiguity present in the English translation and confirms ALES's presence at Yalta. Schindler concludes "the identification of ALES as Alger Hiss, made by the U.S. Government more than a half-century ago, seems exceptionally solid based on the evidence now available; message 1822 is only one piece of that evidence, yet a compelling one." None of the evidence presented at the Hiss trial precludes the possibility that Hiss had been an espionage agent after 1938 or that he had only passed State Department documents after 1938. Chambers's charges were not seriously investigated until after the revelations made by the defection of Elizabeth Bentley in 1945, so Hiss and the Soviets could in theory have considered it an acceptable risk for him continue espionage work, even after Chambers's defection. Vyshinsky was not in the U.S. between Yalta and the time of the Venona message and the message is from the Washington KGB station reporting on a talk with Ales in the U.S., thus making Lowenthal's analysis impossible. There is one Venona cable, #1579, that includes the name "Hiss." This partially decrypted cable consists of fragments of a 1943 message from the GRU chief in New York to GRU headquarters in Moscow. The reference reads: "…from the State Department by name of HISS…" The name "Hiss" appeared "Spelled out in the Latin alphabet" according to a footnote by the cryptanalysts. In the cable, "Hiss" goes without a first name, so it could possibly refer to either Alger or Donald, since both were at the State Department in 1943. Lowenthal argues that for the GRU to name Hiss openly, not by a codename, would be highly unorthodox if he was, indeed, a spy. Once Soviet intelligence assigned a codename to an agent, it would be highly unusual for their actual name to be used in a coded transmission. At an April 2007 symposium, authors Kai Bird and Svetlana Chervonnaya presented evidence that a U.S. diplomat named Wilder Foote was the best match to ALES, based on the movements of all the officials present at the U.S.-Soviet Yalta conference. In particular, Bird and Chervonnaya noted that Foote had been in Mexico City at a time when a Soviet cable placed ALES there, whereas Hiss had left Mexico several days earlier (see above). Other authors have disputed the likelihood that Foote was ALES, noting that Foote doesn't fit known information about ALES, and saying that the author of the Soviet cable could have been mistaken in stating that ALES was still in Mexico City. In 1985, Oleg Gordievsky, a high ranking KGB agent, defected to the West. In his 1990 book Gordievsky reported attending a lecture before a KGB audience in which Iskhak Abdulovich Akhmerov identified Hiss, apparently as one of the Soviet Union's U.S. agents during World War II. Although his reminiscence of the Akhmerov lecture remains unchallenged, Gordievsky went further and claimed that Hiss had the codename identity of "ALES." This at first appeared to be an independent corroboration of the codename, as it appeared before the Venona cables were revealed to the public. However, it was later revealed that Gordievsky's source for the ALES identity was an article by journalist Thomas Powell, who had seen National Security Agency documents on Venona years before their release. In 1978, Allen Weinstein, then a professor of history at Smith College, published Perjury: The Hiss-Chambers Case. The book, in which Weinstein argues that Hiss was guilty, has been cited by many historians as the "most important" and the "most thorough and convincing" book on the Hiss-Chambers case. Weinstein drew upon 30,000 pages of FBI documents released through the Freedom of Information Act, the files of the Hiss defense attorneys, over 80 interviews with involved parties and six interviews with Hiss himself. In 1997, Weinstein published an updated and revised edition of Perjury, which incorporated recent evidence from Venona decrypted cables, released documents from Soviet intelligence archives and information from former Soviet intelligence operatives. In arguing for Hiss's guilt, Weinstein presented no major new revelations about the case. Rather, he noted a great many points at which Chambers's story, or an assumption of Hiss's guilt, seemed to be a better fit to documented facts than did Hiss's accounts of events. In his review of Perjury, George Will wrote "the myth of Hiss's innocence suffers the death of a thousand cuts." Hiss's disclosure of the history of the Woodstock typewriter appeared to be "secretive and improvised," and that he seemed at times to deliberately mislead investigators about the probable current whereabouts of the typewriter. Hiss stated that he had given an old car to Chambers, whereas Chambers said that Hiss had donated it to the Communist party. Documents show that Hiss transferred title for the car to a dealer who immediately resold the car to a known Communist party member. Chambers testified that in 1937 he had given Oriental rugs to four of his espionage sources, including Hiss, in appreciation for their work. Hiss responded that he had received the rug from Chambers in 1935 as payment for a debt. Evidence indicates that Chambers had in fact given rugs to three other known Communist agents, and that he had bought them in late 1936. Chambers claimed that the Hisses loaned him $400 in 1937 or 1938. Records show that Priscilla Hiss withdrew $400 from the couple's joint savings account in November of 1937. The Hisses testified that they withdrew the money to buy furniture for a new apartment, but they had not signed a lease for a new apartment at the time of the withdrawal. The evidence seems to favor Chambers's description of a close working relationship between himself and Hiss during the 1930s more than Hiss's account of a casual acquaintanceship. This included Hiss subletting his apartment to Chambers without a formal lease, Hiss giving Chambers use of his car without transferring the title, and evidence that Chambers was in the Hiss home in 1937, a year after Hiss said he broke off contact with Chambers. Weinstein also devotes an appendix to examining and dismissing various "conspiracies" that Hiss defenders have proposed to explain the evidence against Hiss. In his conclusion, Weinstein writes "the body of available evidence proves that Hiss perjured himself when describing his secret dealings with Chambers, so that the jury in his second trial made no mistake in finding Alger Hiss guilty as charged." Some authors have been critical of Perjury. Victor Navasky reported that he wrote to seven of Weinstein's "key sources" and six of the seven "responded that they had been misquoted, quoted out of context, misrepresented, misconstrued, or misunderstood." Weinstein countered that the sources were only recanting their previous statements. One of Weinstein's sources, Samuel Krieger, sued Weinstein for libel in 1979. Weinstein settled out of court by promising to correct future editions of Perjury and paying Krieger an undisclosed sum. Although he has said several times that he would make his files and interview tapes available to other investigators, to date Weinstein has not done so. In the late 1990s, Weinstein conducted research into Soviet intelligence files with former KGB operative Alexander Vassiliev. This research was primarily for the 1999 book The Haunted Wood, but the material Vassiliev and Weinstein found that related to the Hiss case was added to the 1997 edition of Perjury. It was later revealed that some scholarly friction existed between the two coauthors. Vassiliev stated, "I never saw a document where Hiss would be called ALES or ALES may be called Hiss. I made a point of that to Allen." Weinstein was "sloppy almost every time he quoted documents relating to Alger Hiss." However, in a 2002 episode of PBS's NOVA, Vassiliev said, "The Rosenbergs, Theodore Hall and Alger Hiss did spy for the Soviets, and I saw their real names in the documents, their code names, a lot of documents about that. How you judge them is up to you. To me, they're heroes." The case heightened public concern about Soviet espionage penetration of the U.S. government in the 1930s and 1940s. As a native-born, well-educated, and highly connected government official, Alger Hiss did not fit the profile of a typical spy. Publicity surrounding the case fed the early political career of Richard M. Nixon, helping him move from the U.S. House of Representatives to the U.S. Senate in 1950, and to the Vice Presidency of the United States in 1952. Senator Joseph McCarthy made his famous Wheeling, West Virginia, speech two weeks after the Hiss verdict, launching his career as the nation's most visible anti-communist. ↑ Victor Navasky, Hiss in History. The Nation, April 12, 2007. ↑ Dan Kennedy, 1999, Flowers for Alger Hiss. Salon.com. ↑ James Barron, 2001-08-16 Online, the Hiss Defense Doesn't Rest. The New York Times. ↑ Kai Bird and Svetlana Chervonnaya, American Scholar (Summer, 2007) The Mystery of Ales. ↑ "French in 1939 Called Hiss Red, Bullitt Says," Washington Post, April 9, 1952. ↑ Denise Noe, 2005 Crime Library The Alger Hiss Case; The Pumpkin Papers. Courtroom Television Network. ↑ "Justice Department Releases Copies of 'Pumpkin Papers' The New York Times August 1, 1975. Russell R. Bradford and Ralph B. Bradford, An Introduction to Handwriting Examination and Identification. 1992 A History of Forgery by Typewriter. ↑ Ethan Klingsberg, November 8, 1993, Case Closed on Alger Hiss?. The Nation. ↑ 50.0 50.1 Venona transcript #1822, with commentary by Douglas Linder. The Trials of Alger Hiss: A Commentary. ↑ Nova Online, 2002, Secrets, Lies and Atomic Spies; Alger Hiss..PBS.org. ↑ Also spelled "Vyshinskii," "Vishinsky" and "Vyshinski"
↑ John Lowenthal, The Alger Hiss Story (Autumn 2000), Venona and Alger Hiss. ↑ John R. Schindler, Center for Cryptologic History Symposium, 2005-10-27, Hiss in VENONA: The Continuing Controversy. ↑ John Earl Haynes and Harvey Klehr. In Denial: Historians, Communism, and Espionage. Encounter Books, 2003. ISBN 1893554724), 158-163. ↑ Kai Bird, and Svetlana Chervonnaya, "The Mystery of Ales." American Scholar (Summer, 2007) . ↑ Haynes, 2007-04-14, Ales: Hiss, Foote, Stettinius?. ↑ Christopher Andrew and Oleg Gordievsky. KGB: The Inside Story of Its Foreign Operations from Lenin to Gorbachev. (Harpercollins, 1990. ISBN 0060166053), 287. ↑ Allen Weinstein and Michael Straight, (Letter to the Editors), New York Review of Books, 44 (20) (1997) . Arthur Schlesinger, Jr.: "The most objective and convincing account we have of the most dramatic court case of the century." Ellen Schrecker: "The most important book on the Hiss case is Weinstein, Perjury"
John Earl Haynes & Harvey Klehr: "a book that remains to this day the most thorough and comprehensive examination of the case." Richard M. Fried: "The most important source on Hiss is Allen Weinstein, Perjury: The Hiss—Chambers Case." Garry Wills: "So far as any one book can dispel a large historical mystery, this book does it, magnificently." The New York Review of Books 25 (6). The Honor of Alger Hiss, April 20, 1978. ↑ George Will, Newsweek March 20, 1978, 96, Quoted in The Alger Hiss Spy Case. HistoryNet.com. See also: Victor Navasky, Allen Weinstein's Docudrama. The Nation October 16, 1997. ↑ Eric Alterman, April 29, 1996, The Nation. I Spy with One Little Eye. Andrew, Christopher, and Oleg Gordievsky. KGB: The Inside Story of Its Foreign Operations from Lenin to Gorbachev. Harpercollins, 1990. ISBN 0060166053. Chambers, Whittaker (1952). Witness. Random House. ISBN 0895265710. Cook, Fred J. 1958. 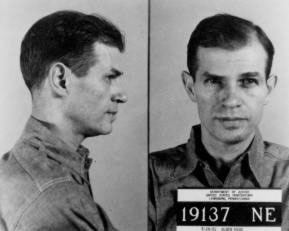 The Unfinished Story of Alger Hiss. (New York: William Morrow Company, ISBN 1131853520. Cooke, Alistair (1950). A Generation on Trial: USA v. Alger Hiss. Greenwood Press. ISBN 031323373X. Coulter, Ann 2003. Treason: Liberal Treachery from the Cold War to the War on Terrorism. London: Three Rivers Press. ISBN 1400050324. Fried, Richard M. 1990. Nightmare in Red: The McCarthy Era in Perspective. Oxford University Press, USA. ISBN 0195043618. Haynes, John Earl, and Harvey Klehr. 2003. In Denial: Historians, Communism, and Espionage. San Francisco: Encounter Books, ISBN 1893554724. __________. 2000. Venona: Decoding Soviet Espionage in America. New Haven: Yale University Press, ISBN 0300084625. Hiss, Alger 1988. Recollections of a Life. Boston: Little Brown & Co. ISBN 1559700246. Hiss, Tony 1999. The View from Alger's Window: A Son's Memoir. New York: Alfred E. Knopf. ISBN 037540127X. Navasky, Victor S. 2006. A Matter of Opinion. Picador. ISBN 0312425546. Schrecker, Ellen. Many Are the Crimes: McCarthyism in America. Boston: Little, Brown and Company, 1998. ISBN 0316774707. Swan, Patrick, Ed. 2003. Alger Hiss, Whittaker Chambers, and the Schism in the American Soul. ISI Books. ISBN 1882926919. Tanenhaus, Sam. 1998. Whittaker Chambers: A Biography. New York: Modern Library. ISBN 0375751459. Theoharis, Athan, Ed. 1982. Beyond the Hiss Case: The FBI, Congress, and the Cold War. Philadelphia: Temple University Press. ISBN 087722241X. Weinstein, Allen 1997. Perjury: The Hiss-Chambers Case. Ballantine Books, ISBN 067977338X. Weinstein, Allen, and Alexander Vassiliev. 1999. The Haunted Wood: Soviet Espionage in America—The Stalin Era. New York: Modern Library. ISBN 0375755365. White, G. Edward. 2005. Alger Hiss's Looking-Glass Wars: The Covert Life of a Soviet Spy. Oxford University Press. ISBN 0195182553. Linder, Douglas, "Famous Trials," University Of Missouri-Kansas City School Of Law, 2003, The Alger Hiss Trials: An Account. Moynihan, Daniel Patrick (Chairman), 1997, "Report of the Commission On Protecting And Reducing Government Secrecy." PDF. United States Government Printing Office. Scott, Janny, New York Times, 1996-11-16, Alger Hiss, Divisive Icon of the Cold War, Dies at 92. This page was last modified on 4 March 2019, at 23:42.